The Italian Dream: Part 1, Florence | To Work Or PlayTo Work Or Play | A blog of two halves: Lifestyle guidance for city-savvy socialites, and insight, inspiration and opinion for ad-curious folk. 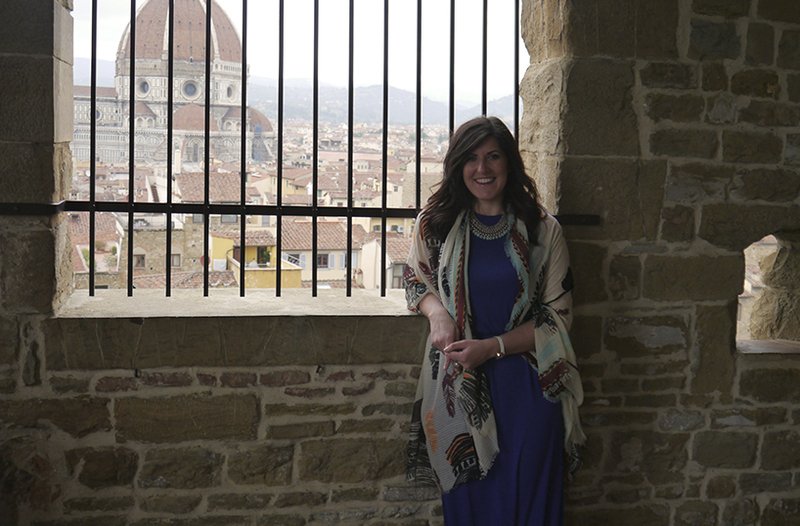 Nat talks about her travels to Florence: the best places to visit, where to stay and maybe most importantly, where to eat. 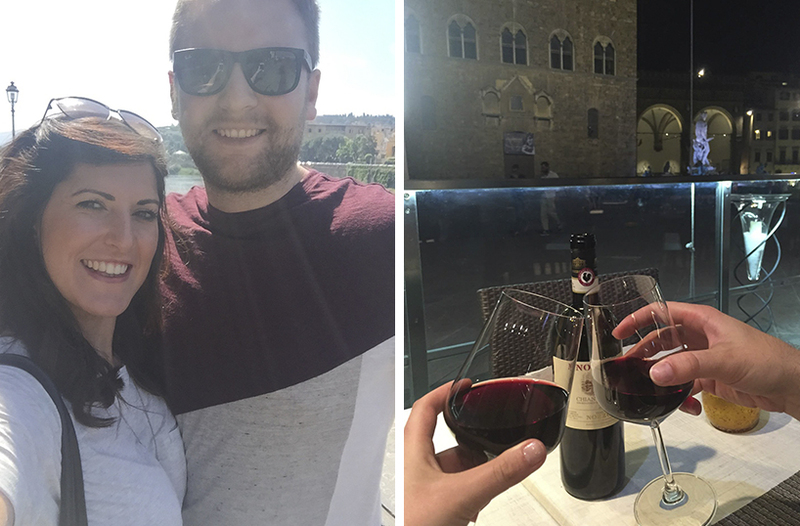 I recently returned from a holiday to Italy, which saw Tom (the other half) and I spend a week travelling around some of the country’s most beautiful towns and cities. I have been to Italy many times before, visiting Milan, Lake Como and Garda, Verona, Venice and Rome, but one of my favourite spots has to be Florence, to which we ventured back to on this trip. Firenze; a city with many offerings. From bustling nightlife and historic landmarks to mountain landscapes set within treelined Tuscan hills. The city has a little something to please everyone and is the perfect size to venture around for a few days. 1. Take flat shoes – Florence is very much a walking city and you can wander around the main sights pretty easily. Flat shoes are a must as cobbled roads and tiny staircases don’t work well with kitten heels. 2. 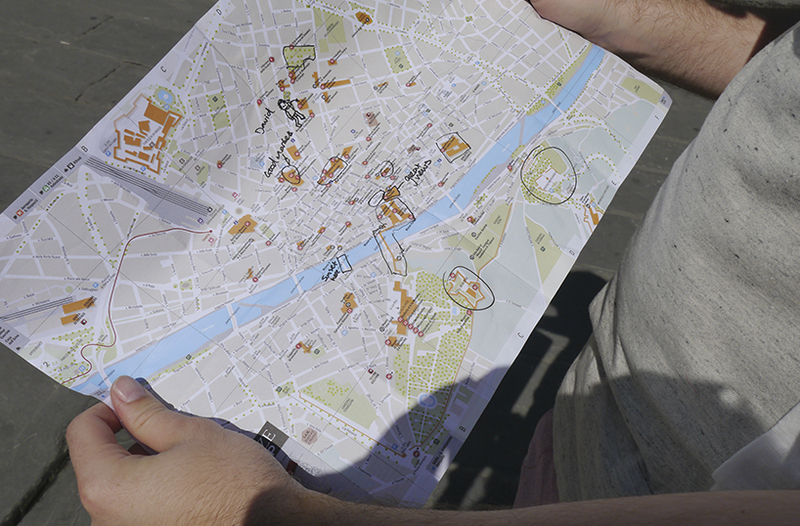 Live by your map – The first thing you should do when arriving in Florence is grab a city guide, it makes life a lot easier. Tom took lead in navigation using a good old fashioned map and we highlighted the areas we wanted to explore. 3. Figure out the districts – The city itself is divided into quartiere (districts) that are built around a church, which is where the district takes its name from. If you get lost look for the church and you will find your way from there. 4. Eat, eat and eat some more – Be ready to indulge in more delicious delights than you can comfortably consume. Italians are as passionate about cooking as they are about football, so it’s safe to say most places you go to will serve you up a treat for your tastebuds. Don’t eat in tourist hotspots, follow recommendations (a few of which I will give you below) and find the backstreet eateries off the beaten track for the best food the city has to offer. Ice cream is a must… be prepared to scoff a lot of that. 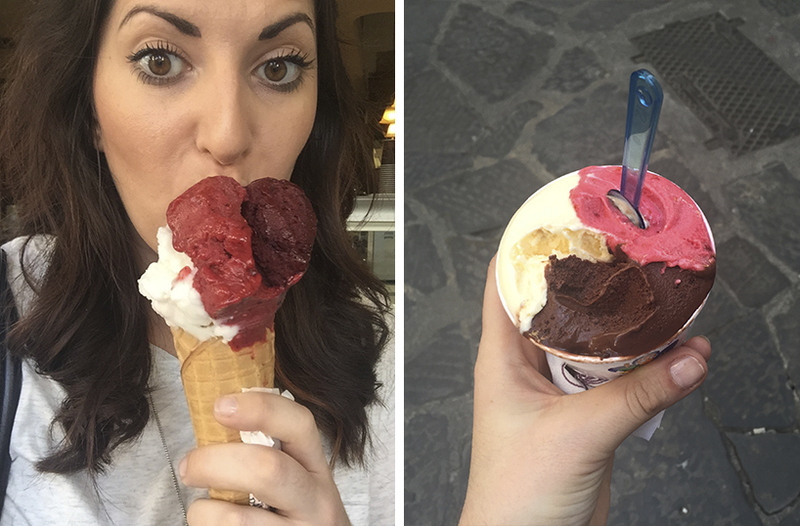 I’ve never had better ice creams than the ones in Italy, especially in Firenze. 5. 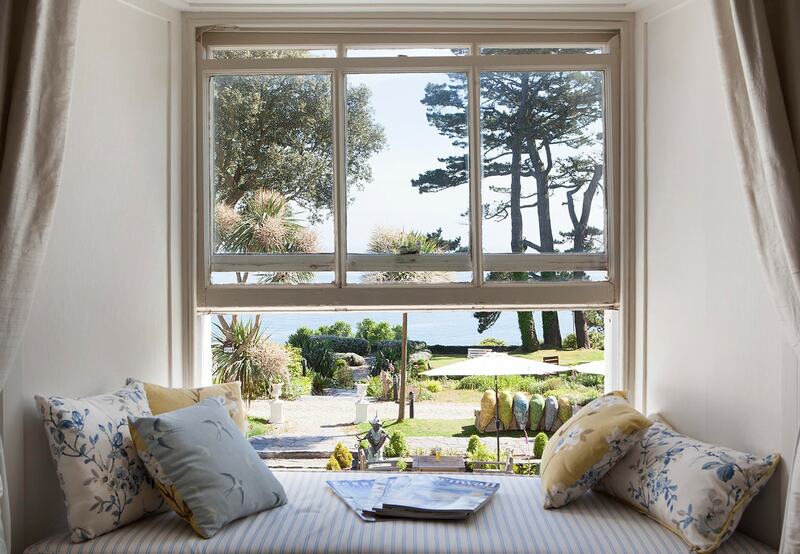 Be prepared for any weather – Although the weather is generally better than the UK, Mother Nature still insists on being temperamental when it comes to sunshine. When it’s hot, it’s HOT, but with that being said, the rain can bounce off the floor just as much as it does in London (maybe more so). 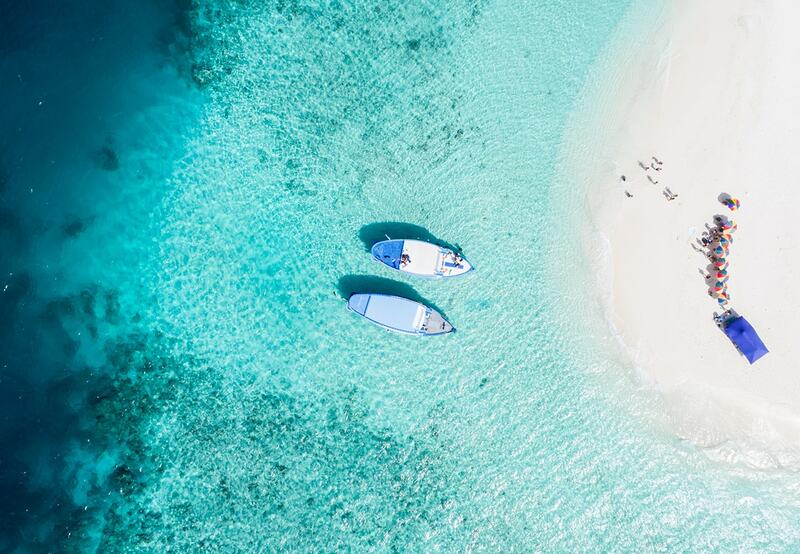 Take a rain coat as well as a bikini. 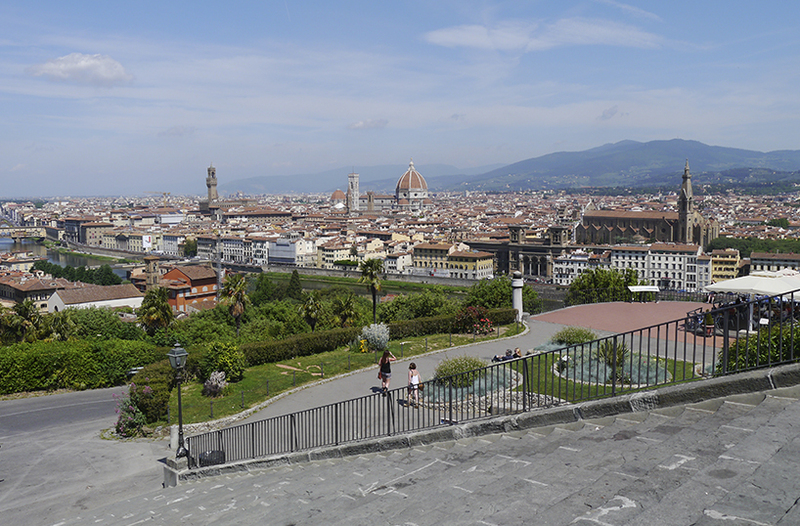 For spectacular views of the city go to Piazza Michelangelo on the south side of the city. Beware this does bring a lot of tourist groups hurtling towards your direction, but it’s worth it. If you would rather avoid the stampedes, but still want a view from a height then go a bit further up the hill to Chiese di San Miniato al Monte, a spectacular church which people often miss… their loss is our gain as this view is beautiful (and may even be better than Michelangelo). And while we’re talking of heights, make sure to venture up a tower for a different view of the cityscape. 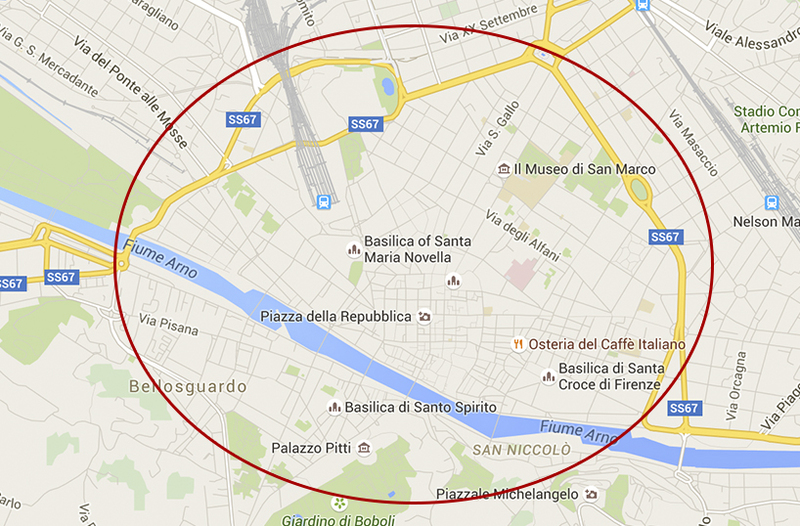 Now here’s a tip which you can thank me for later… don’t go up Duomo. It’s got a queue a mile long as it’s the most well known to tourists. 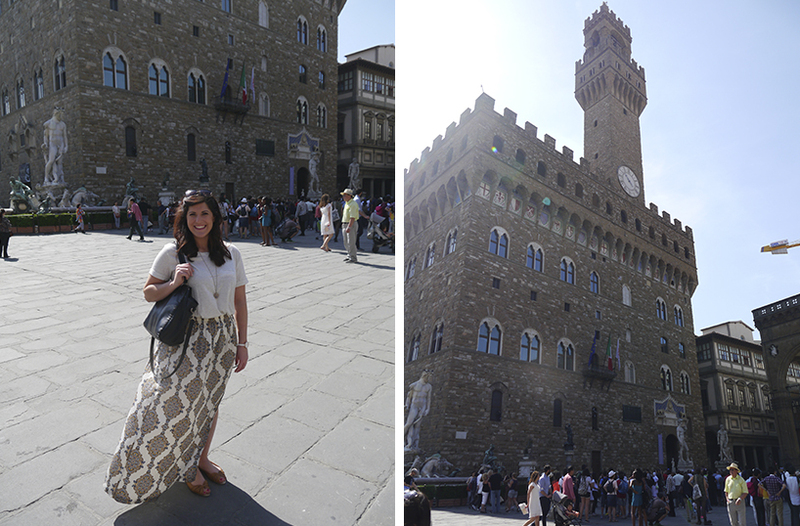 I would definitely recommend seeing Duomo and Cattedrale di S.Maria del Fiore, but instead of waiting in line for half a day, venture over to the city hall in Piazza Della Signoria, and walk up to the viewing point of clock tower of Palazzo Vecchio. There’s no queue to get up to this one and it’s only €10. Be wary, there are a lot of cobbled stairs to hike, but the incredible view makes it all worthwhile. 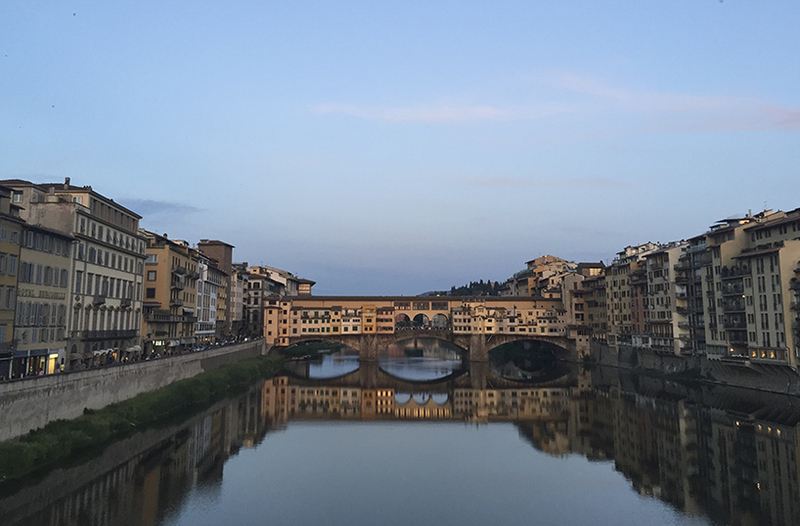 Bridges… Florence has many, but the main attraction is the Ponte Vecchio which plays home to several small shops, cafes and even homes. Rather fascinating, but quite busy. 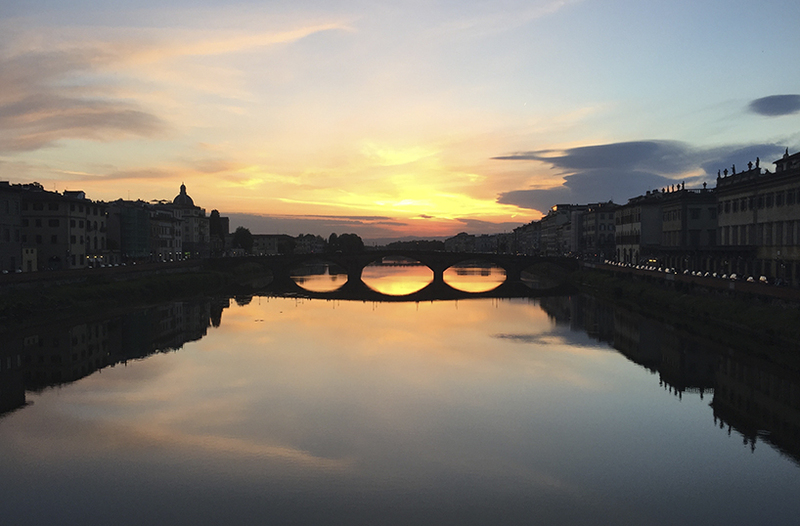 I would recommend watching the sunset from Ponte S. Trinita or Ponte alla Carraia instead as it’s a gorgeous spot to watch the sky turn from a warming orange to husky hues of pink and purple as the sun sets in the distance. Very romantic. If it’s ruins you’re after then try Forte Belvedere, but again, it’s quite a hike to get to! For the shopaholics the market at San Lorenzo is great and specialises in handcrafted Italian leather. For those who want to museum hop there are many on offer, but at the same time these take a while to get into. Choose wisely and be ready to wait in line. The statue of David is located at Galleria dell’Accademia (and has an estimated 6,000 visitors a day, eek) or the art museum at Museo degli Uffizi might take your fancy. From old prisons at Museo del Bargello to Renaissance paintings at The Museum of San Marco Monastery, there a museum for everyone. Just a tip on museum hopping: If you have bought tickets for a museum you have to collect them and then wait in the reserved line. If you don’t do this you will get to the front only to be sent away to wait in another line to then go to the back of the reservation queue you started at in the first place. There’s nowhere that tells you this, it’s just a tip that’s passed on through many frustrated tourists. Piazza Santa Croce is one of the more beautiful squares on the north side of the river and the church there has the tombs of Da Vinci, Galileo, Machiavelli and more. Speaking of churches, Basilica of Santa Maria Novella, is one of the most stunning and is near the main train station. The Boboli Gardens are a tranquil haven amongst a busy city, playing host to a vast number of exotic trees and flowers where the famous Medici family are said to have lived. 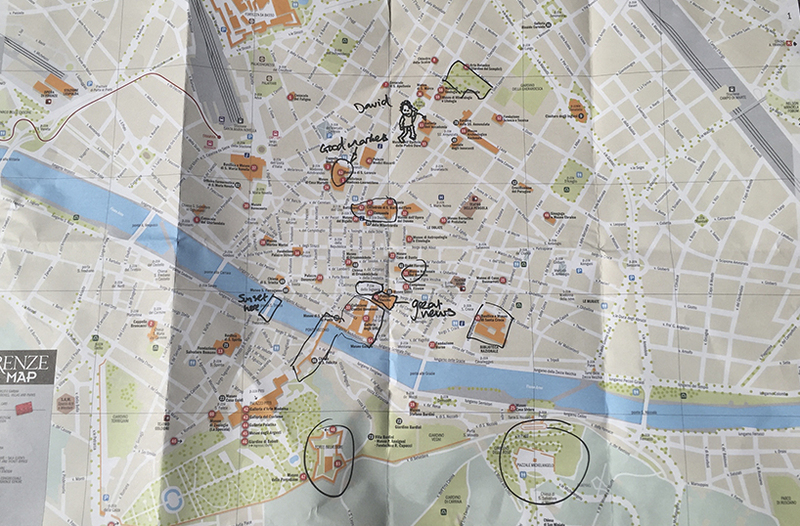 As you can see Florence has a lot to offer, somewhat like London (on a much smaller scale) it’s about outlining your preferences, doing a bit of planning and exploring around these. Happy days. If you are going to Italy for a week or more then Florence is also a great middle point to navigate the Northern part of Italy. Use it as a base as it’s easy to get trains to Siena, Pisa (which we flew into), Bologna and along the coast at Cinque Terre (which we also visited). There’s a vast array of day trips on offer to the wine regions of nearby mountain landscapes, so try a trip to Chianti and you won’t be disappointed. From Santa Maria Novella Station (the main train station in Firenze) you can also get high-speed trains to Milan or Rome. Now to the exciting stuff… filling your tummy. When it comes to eating there’s a tendency to stay on the north side of the river as that’s where most of the sights are, but you will find some great bars and restaurants in the winding streets south of the river itself. 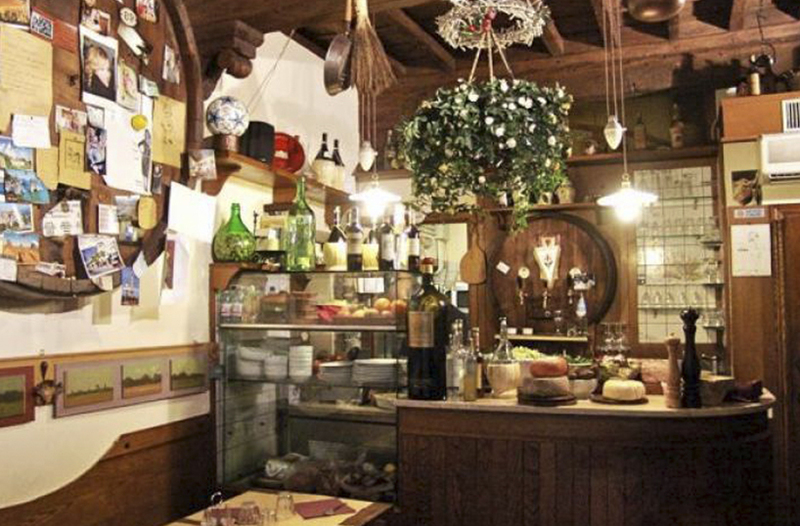 San Frediano or Santo Spirito, both south of the river, have a number of lovely little bars and restaurants. San Lorenzo, which is near the main station, is a great area for light bites and Piazza Della Signoria has some great eateries on a very pretty square. As I mentioned earlier avoid eating around tourist areas, i.e. around Duomo and especially Cerretani Street. Let’s start with a sweet treat in the form of Vivoli. The most amazing ice cream you will ever have, trust me! It wouldn’t be known as one of the country’s best ice cream shops if it wasn’t. A lot of the restaurants dotted around Florence even stock this delight for dessert as we discovered to our delight. Make sure you get a few scoops and try a few flavours. We tried a few variants (I think we had at least one ice cream a day, oops!) and I particularly loved the raspberry, crème and chocolate chip flavours, whereas Tom liked the chocolate and caramel. If I could import this stuff in bulk I would. Delicious. This foodie haven was recommended to us by the owner of the apartment we stayed in. If you go to Florence then you have Florentine steak, unless you’re a veggie like me (which is where you watch your boyfriend devour his body weight in a succulent slab of meat). 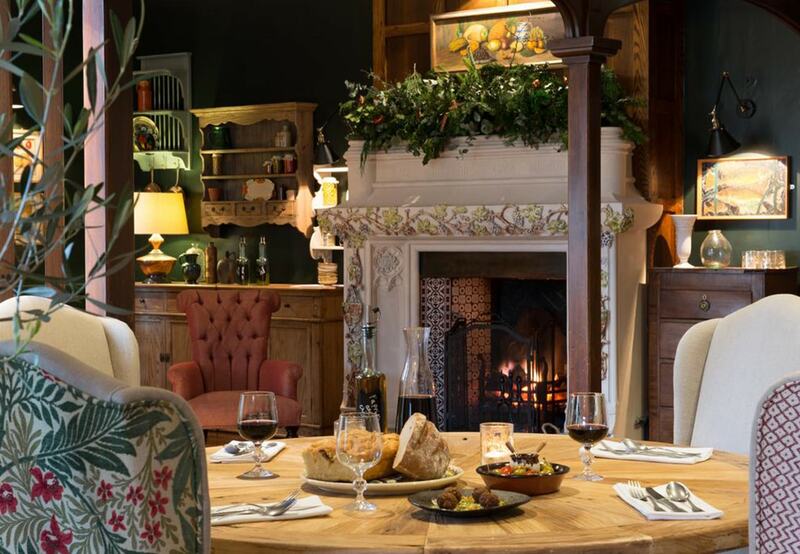 This cosy Trattoria is full of character with a dim lit ambience, quirky decorations and friendly waiters. The place is bustling with the sound of happy carnivores, each munching on prime cuts of mouth watering beef. Make sure you’re hungry for this one and don’t make the mistake Tom did by having a first course of pasta followed by a pound of steak (unless you want to roll home). Do, however, follow your meal with Vivoli ice cream. 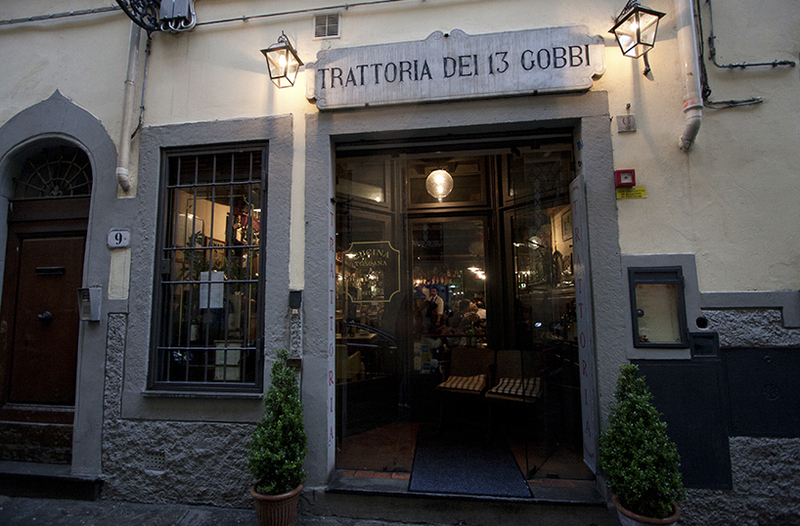 This is definitely a spot for meat lovers in search of true Florentine cooking. A small, but busy place this was. In-fact it was so busy we didn’t manage to get a table, but as we passed it everyday (it was on the road of our apartment), it became more apparent that we had missed a treat. A lot of the time this little old place was filled with happy Italian eaters, which made it even more appealing, the occasional tourist seemed to discover this place, but mainly locals. The antipasti looked particularly yummy followed with local wine and some creamy cheese. Book this one in advance to avoid disappointment. Also near to our apartment was Piazza Della Signoria, and on this square you will find the Gucci Museum, hey you might even pop into it! 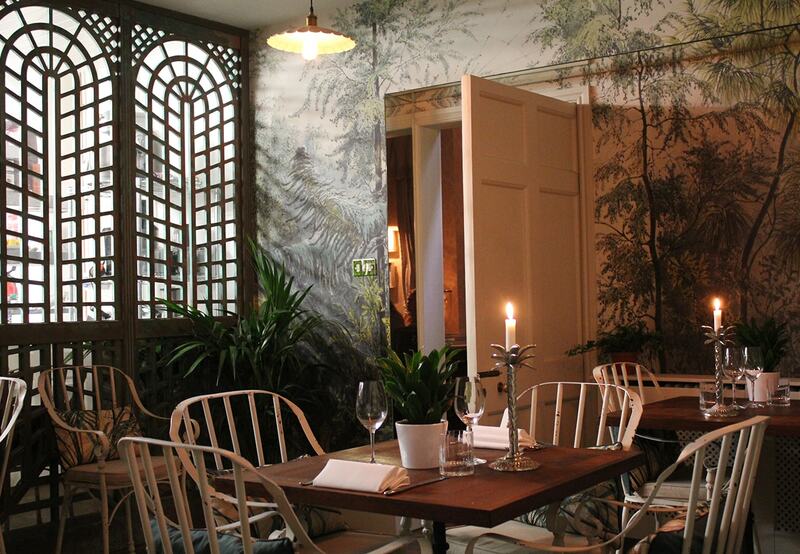 But for the food lovers, there’s the Gucci restaurant… and it’s rather wonderful. With indoor and outdoor seating, this immaculate and modern eatery offers a small slice of Gucci for average prices (it’s not cheap, but the price is competitive to other places around the city). 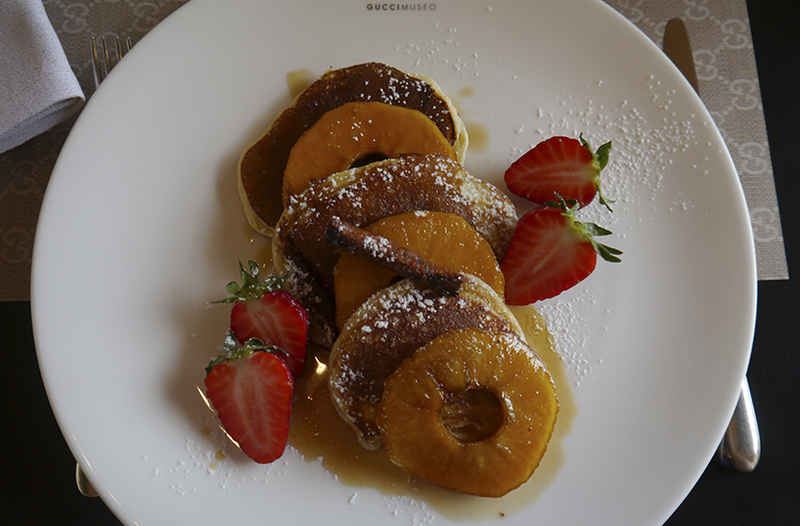 We ventured here for breakfast and I indulged in my fav, pancakes, which were accompanied by caramelised apple slices, absolutely scrumptious. This narrow little spot made me want to shout “Mamma Mia!” as I walked through the door. Greeted by two jolly sisters cooking up classic Tuscan cuisine from a counter laden with simmering meat, creamy pastas and a lot of ham. You can’t help but smile when deciding what to munch on. The bruschetta was truly delicious and at €1 each I could have eaten 10! With a great selection of sandwiches, pastas, meats (my god they looked delicious, even to a veggie) and stews this place had something to fill everyone. The meatballs made me want to be a meat eater as they were served in a rich tomato sauce inside bread with the middle scooped out. I opted for some couscous and Tom got prosciutto, tomato and mozzarella wrapped in focaccia. 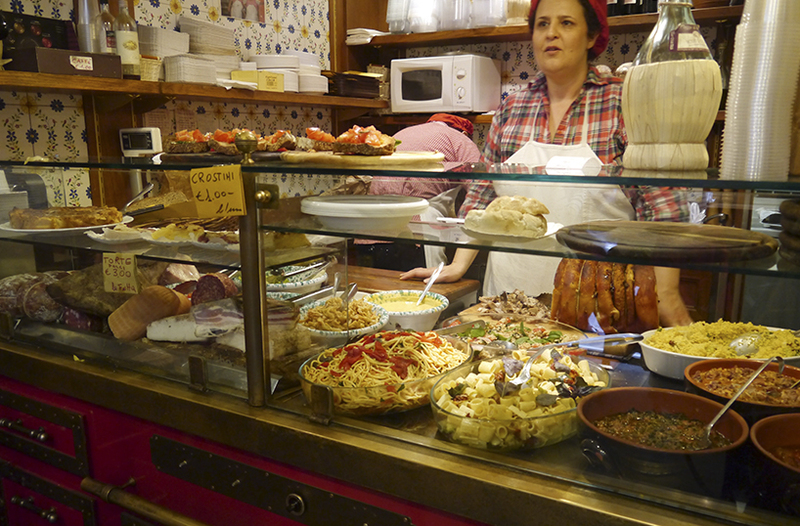 A warm, friendly and typically Italian little lunch shop that I would happily eat in every lunch time. Very happy we stumbled into this place. If you’re feeling flush this hotel is set on the north side of the river and has a roof terrace bar with spectacular views. 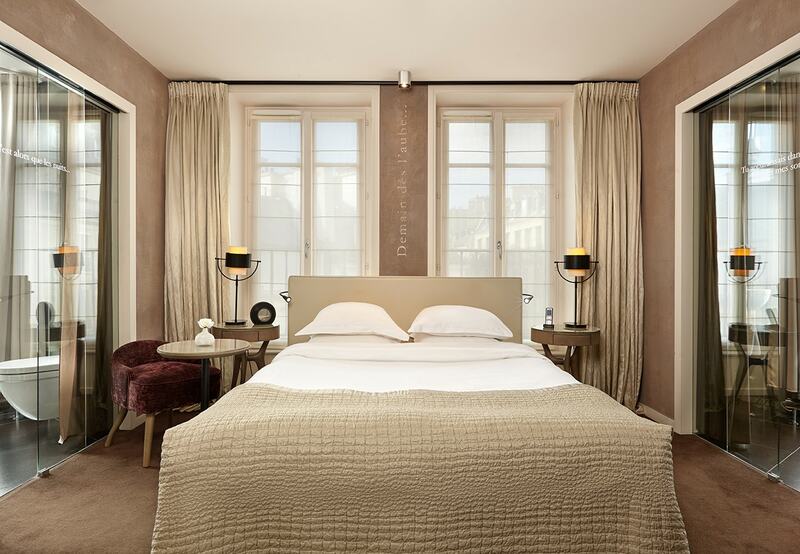 It doesn’t come cheap mind… at over €300 a night you will have to dig deep into those pockets. If you don’t want to break the bank, but fancy popping in then visit the bar. We had a cocktail on the roof before going for dinner one night and this worked out around £12 a drink. 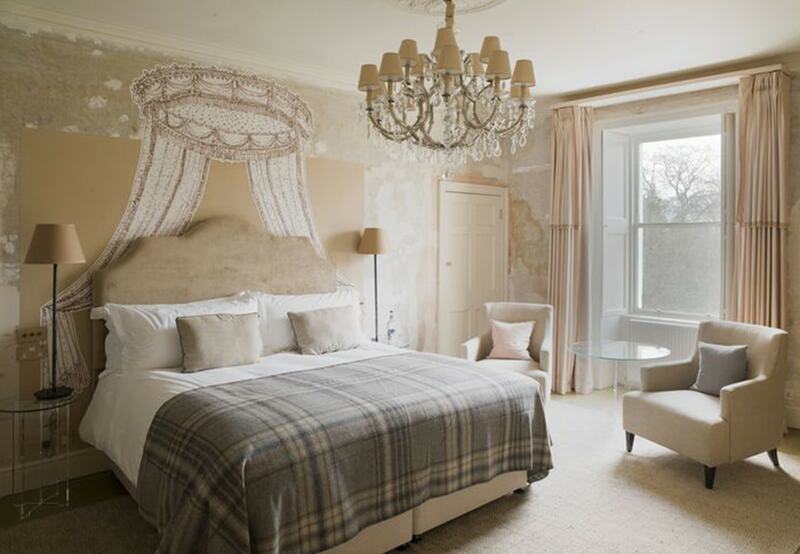 B&B’s in Florence are great, but some can tend to be dated. 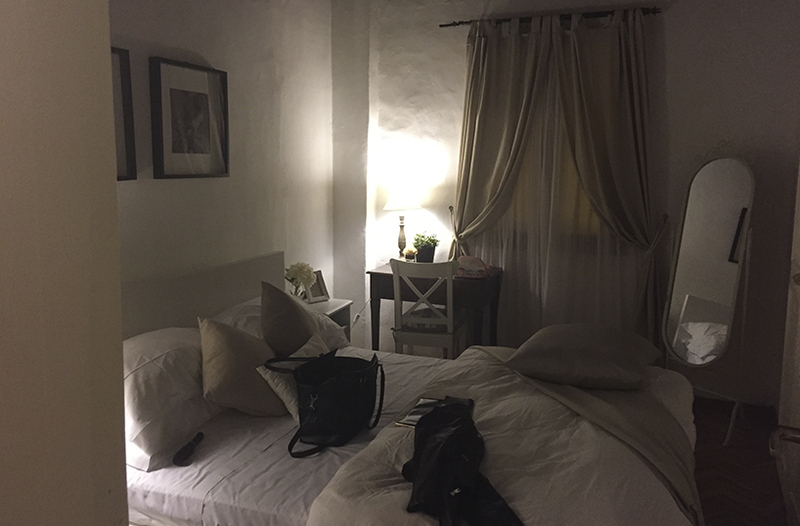 I managed to find a modern one on Booking.com in the centre of Florence that was exactly what we needed for our stay in Florence. The VR exclusive apartments are a block of flats on Via dei Magazzini just next to Piazza Della Signoria (which as explained before is very pretty and there’s loads to eat around that area) and opposite the restaurant Osteria Vini e Vecchi Sapori, which I talked about earlier. The apartment itself was modern, cosy and very clean with a fully equipped kitchen, sitting room and bedroom and a little balcony. We also had free wifi and were greeted with bubbly on arrival. The flat was reasonable, but had the smallest shower I’ve ever seen, had quite a trek up steep stairs to get to and it took us a little while to gain access on arrival. That being said, all can be forgiven for the location and the flat itself as it was perfect for what we needed. 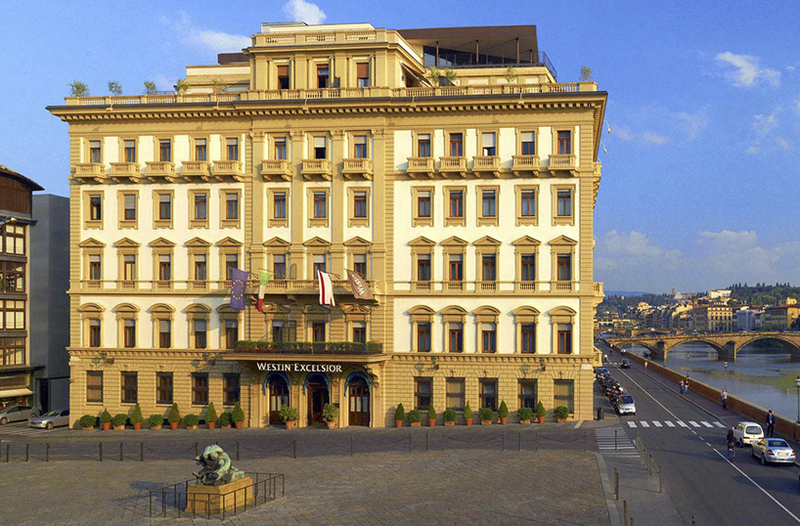 We stayed around Piazza Della Signoria and it was the perfect area to stay, both easy to access the north and south of the river, and also close walking distance to all central amenities and sights. 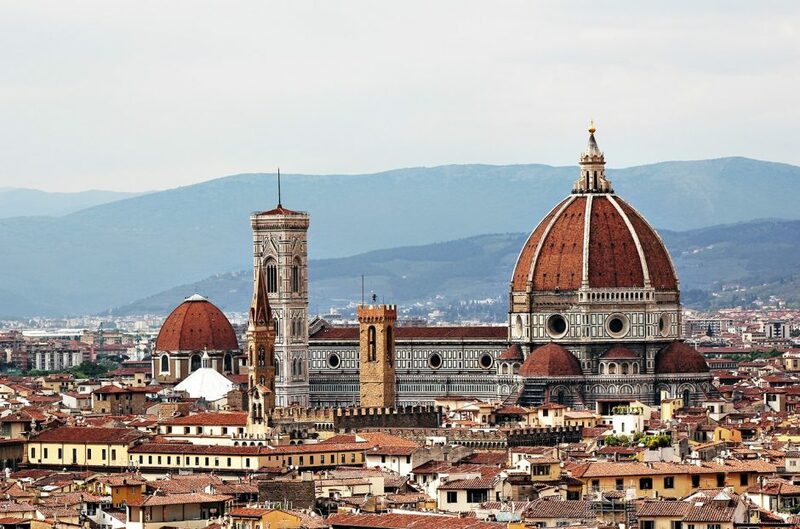 All in all Florence is the perfect city break, so if you haven’t been, get your trip booked now!